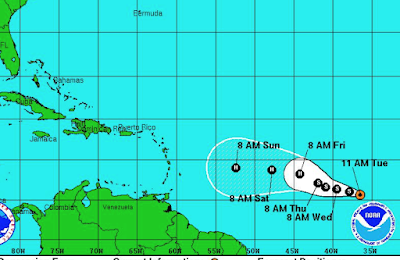 A tropical depression has formed in the eastern Atlantic and is forecast to become Hurricane Danny. Back home, there is an area (yellow) where large hail and damaging thunderstorm winds are forecast later today. 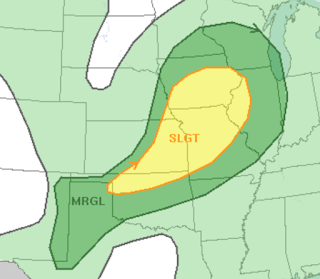 A tornado or two is also possible near the Kansas-Missouri border.